Today has been one of those uber busy, non-creative, mom is running errands type of days. Little Bear had to go to the allergist (food allergies! yay!!.. 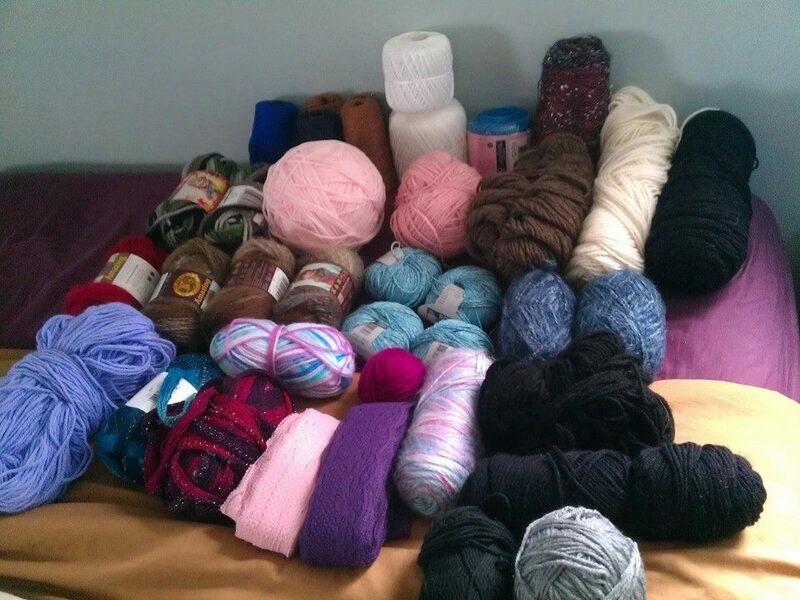 ), which went amazingly well, I mailed out some de-stash yarn, which was a total plus (hooray for more space!! ), and then had lunch with my mama… before going food shopping. Plenty of normal everyday type stuff, but then I received an e-mail from a hospital I asked about making baby hats for, and was told that the need lapghans/small afghans for cancer patients, and those undergoing chemo treatments. It kind of puts things in perspective, when you realize that those who are stuck in the hospital with a prolonged illness would love to have the day I just had. I’m tired, but they’re exhausted from fighting for their lives. Guess my day was pretty good after all – I got to spend it with a happy, smiling Little Bear, and got to see my mama! Tomorrow is surgery day, so I won’t be around tomorrow, and likely won’t be around for a couple days after that. Prayers are welcome (it’s just a minor hernia repair – nothing crazy! ), as always. I need therapy after knitting "Therapi"
New Free Knitting Pattern: Mitts for Romeo!